Pacific Medical Group serves patients in Kahului, Maui, Hawaii as a comprehensive medical provider. We offer a wide variety of services including orthopedic, physical therapy, conservative pain management, and occupational medicine. If you are injured in an auto accident or some other form of personal injury we also provide primary care and injury care. Additional services we provide include massage therapy, chiropractic care, and BIOWAVE PENS pain therapy. Our primary goal is to provide you with the best all-inclusive treatment for your health and wellness needs. 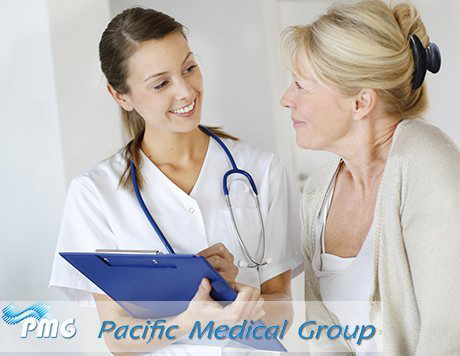 We have several healthcare providers on staff here at the Pacific Medical Group including nurse practitioners, registered nurses, physical therapists, and massage staff. For your convenience, we are able to take several forms of health insurance including worker's compensation, auto insurance, and HMO/PPO. To discover how you can benefit from comprehensive healthcare in Kahului, Maui, Hawaii and surrounding areas or to learn more about the extensive services we offer patients, please contact the Pacific Medical Group office. We will be happy to help you determine which level of care is most applicable to your current state of health. Learn more about how Conservative Pain Management can help you! Click here to learn more about primary care!